As a renowned online supplier of all kinds of Orthodox Christian church vestments, Istok Church Supplies is proud to offer white-gold Holy Table vestments that manifest the glory of God’s Throne and sanctify the Holy Altar. 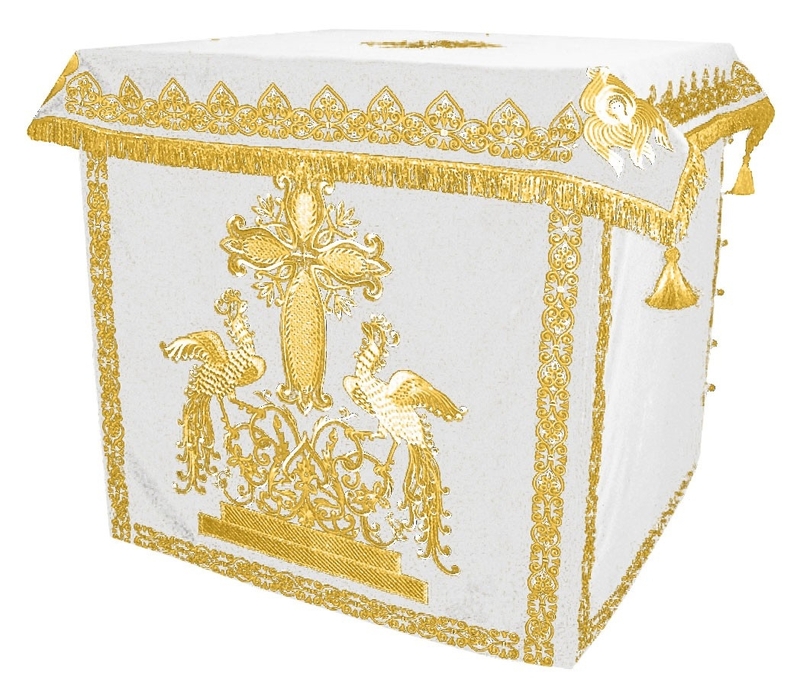 We have always laid emphasis on offering top quality products at reasonable prices and this extends to our collection of magnificent white-gold Holy Table vestments. These covers are made from carefully selected church fabrics such as rayon brocade, metallic brocade and natural German velvet and are meticulously crafted to serve their purpose for many years. When it comes to Holy Table vestments in brocade materials, we offer a wide range of simple and intricate patterns and provide choices for adornment. 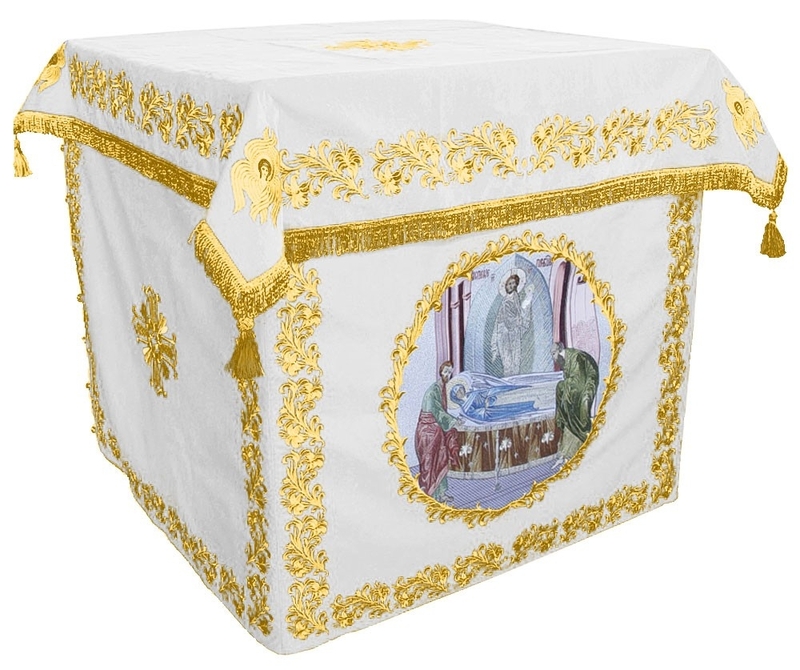 We also offer stunning embroidered white-gold Holy Table vestments. With designs ranging from simple corner floral to exquisite frontals featuring Orthodox Christian icons, these vestments are a treat for the eyes and a testament to the fine traditions of Orthodox Christian church embroidery. Apart from gold, we use other color threads to make a vibrant impact on all those who set their eyes on them. Our embroiderers understand the rich traditions of Orthodox Christian church embroidery and do a fantastic job of incorporating them in their work. 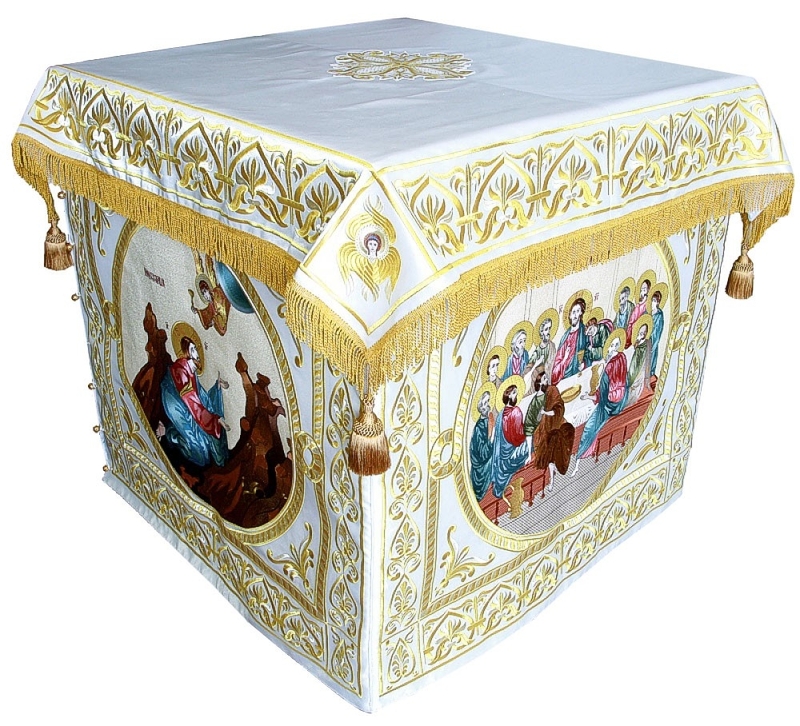 A white-gold Holy Table vestment offered by Istok Church Supplies is constructed to reach to the ground and provide a snug fit for a square cornered Holy Table. We mention the dimensions for every vestment and customers have the choice to purchase an item as it is or request custom sizing by providing details in the Notes section during order placement. Feel free to zoom into the images provided for each item and go through product description to arrive at the right choice. Have a question? Use the ‘Ask a question about this product’ to get in touch. A useful suggestion - place your order as early as possible!